In 2017, the musical genre became a crowd pleaser. As people devoted themselves to musicals such as Hamilton, it came as no surprise that movie makers would want to make films focused around musicals. 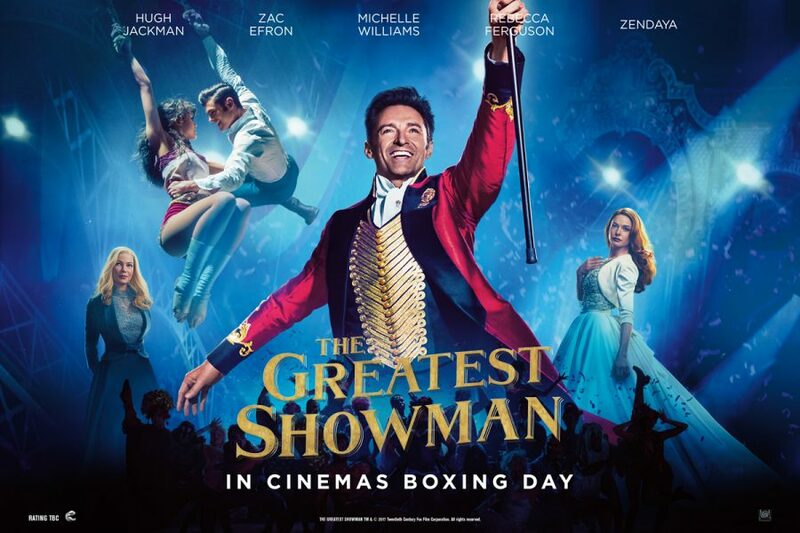 While many were excited for The Greatest Showman, a movie musical directed by Michael Gracey, many viewers were left disappointed after watching the film, resulting in the movie, staring Hugh Jackman, Zendaya and Zac Efron, receiving a Rotten Tomatoes score of 50. When Barnum gets fired from his job, he turns the bad into good and decides to create his own show, he seeks out people who have been treated poorly for the way they look to create a circus that turns characteristics that were deemed negative, into entertaining ones. Once the show created by P.T. Barnum becomes successful, there are unexpected problems each character must face. For example, Jackman’s character constantly has to decide whether he is happy with the success he has created or if he wants to make changes that will affect to his show. He must consider how the new additions to the show put restraints on both his family and the existing show he has created. Throughout the entire movie, the characters often break out in song and dance making the movie seem unrelistic and cliche. The filmalso fails to give a sufficient amount of background information for any characters, except Barnum and his wife. There is especially a lack in description when it comes to the characters of Efron and Zendaya, Phillip Carlyle and Anne Wheeler, the two main artists that promoted the film. The audience does not know much about where they came from and how their relationship really began. Their relationship comes sudden and does not get focused on enough for the viewer to fully support the love.The multiracial relationship that was featured in The Greatest Showman was extremely rare in the time period set for the movie. Carlyle and Wheeler, are involved in the unusual relationship. The recently popular song, “Rewrite the Stars,” features the actors and united the two characters in the movie making the relationship feel real. This relationship helped in some ways make an emotional connection with the characters and the viewers. The music featured in the movie is one of the main elements that was very disappointing. The setting of the movie is based in the 1800s, in contrast to this, the music sung and danced to is clearly from the 2000s. A musical should have music that coincides with the era that the film is based in and not modern music. Thevibe of the film is thrown off completewly and makes it hard for the audience to remeber that this film is not based in modern times. Overall, The Greatest Showman did not do justice for the viewer. The lack of background and poor choice of music makes for an unsatisfactory movie and a complete let down for the overally promoted film. The targeted crowd of families or any people who love musicals will feel disappointed with the unrealistic movie that has been very heavily talked about. The unjust music and lack of background makes for a successfully distasteful musical.